Updated for 2014 with the newest facts and stats. 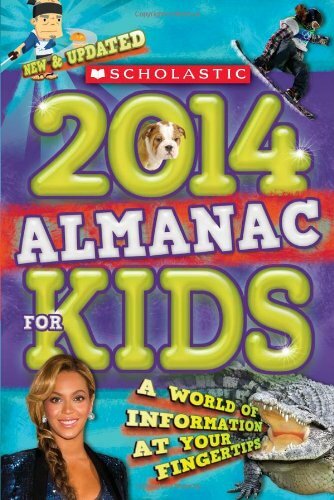 Need help with studying Love trivia Just want to impress your friends or teachers The Scholastic Almanac for Kids 2014 has information about practically everything! If you have questions, this book has answers. Packed with hundreds of facts, stats, and all of the info you need to keep boredom away and get your homework done. The 2014 edition will feature an exciting new cover, completely updated facts and stats throughout, new pop-culture sections, and brand-new chapter openers.